For families dealing with alcoholism, drug addiction, and mental illness, it can feel like nothing is going to work and the situation is hopeless. Many alcoholics, addicts, and individuals suffering from mental illness face relapses. Families often feel like they are alone in dealing with the reality of having an addicted and mentally ill loved one and going through the cycle of health, relapse, and recovery time after time. That’s why so many families turn to faith and spirituality to help their loved ones and themselves get through the trying times and look forward to better ones. One of the foundations of Christianity is reaching out to those who are suffering and helping them through troubled times. Caring for people’s souls via guidance and support focuses on spirituality and results in physical, mental, and emotional well-being as well. 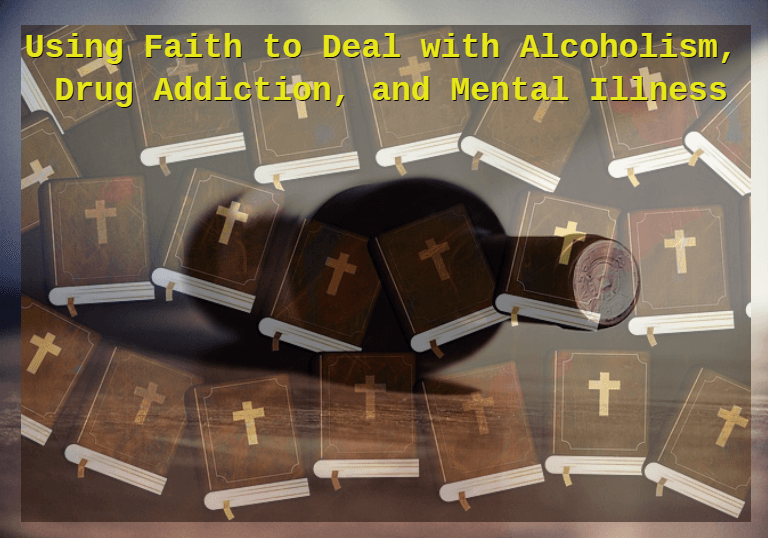 Faith and spirituality are two positive aspects of life, and there is a great deal of evidence showing that a faith-based approach to helping those who struggle with substance abuse and mental illness is successful. Treatment programs that incorporate faith and spirituality often are more helpful than programs that are based on science alone. Faith-based approaches emphasize faith, belief, and trust in God and help individuals struggling with addiction and mental illness accept help from treatment center staff, doctors, and support group peers because everyone shares the same values of unconditional love, acceptance, and forgiveness. These principles also help family members cope with the actions of their addicted and mentally ill loved ones and are at the foundation of effective treatment and recovery programs that include family support and involvement. Researchers and doctors are finding that most people who struggle with alcoholism and drug addiction also have underlying mental issues; in many cases, these mental issues lead to the alcohol and drug abuse, and then the substance abuse worsens the mental illness. Treatment programs that address both the mental illness and the substance abuse issues are much more effective than those that offer only help for substance abuse. It is this holistic approach to treating mental illness and addiction that makes faith an important component of treatment programs. Direct and indirect evidence shows that faith-based treatment programs are more effective than those that do not center on spirituality. One reason faith-based programs succeed is that spirituality is positively related to desirable social characteristics such as higher levels of self-esteem. In fact, religious young people are far less likely to engage in criminal acts and delinquent behavior. It seems as though faith and spirituality give people another resource on which to rely when they try to improve themselves and become sober, healthy individuals. In many cases of addiction and mental illness, individuals feel hopeless. Their families also experience feelings of helplessness because they do not know how to help their loved ones through their trials and tribulations. However, faith offers hope to those who struggle with alcoholism, drug addiction, and mental illness and their families, and it offers tools to help them restore physical and emotional health and spiritual well-being. With faith comes fellowship and support. Treatment programs and support groups that put faith at their core, such as Alcoholics Anonymous and Al-Anon Family Groups, promote gathering with peers who share your struggles and praying together for healing, recovery, and forgiveness. Communing with people who have the same issues and offering support and prayer is very a very powerful component of faith-based treatment programs. Individuals and families who deal with alcoholism, drug addiction, and mental illness have found guidance and support in faith-based programs for many decades. By treating the whole person, these faith-based approaches often are more effective. People find hope and comfort in faith-based treatment programs, especially those that include support groups and focus on prayer.